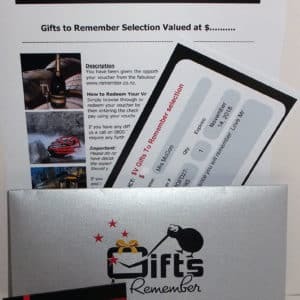 Gift vouchers to a dollar value from Gifts To Remember provide the opportunity to buy a great gift for someone special, but allow them to choose the experience they would like to redeem the gift for. These gifts are very useful for people who are hard to buy for or who you do not know well. They make great Christmas or birthday gifts. 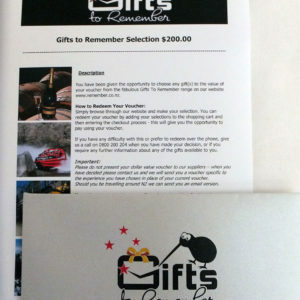 Simply choose the value or vouchers to the value of the gift you would like to give and add them to the shopping cart. The gift recipient will receive one of our beautifully presented vouchers in a silver embossed envelope with our logo on the front. 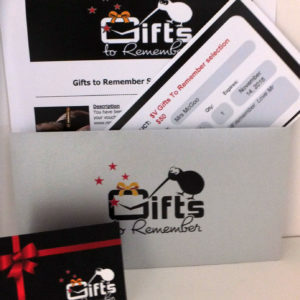 The gift voucher will be accompanied by an instruction sheet that provides details on how to redeem the voucher. Remember, each gift voucher is valid for 12 months and can also be exchanged for another gift voucher of equal value at no cost. Keep everyone happy and get them what they really want – an amazing day out they will never forget!